As the end of Summertime draws near, can you feel the tingle in the air for a new Fall season jam-packed with series premieres, returning favourites and more than a few misses to go with the hits. 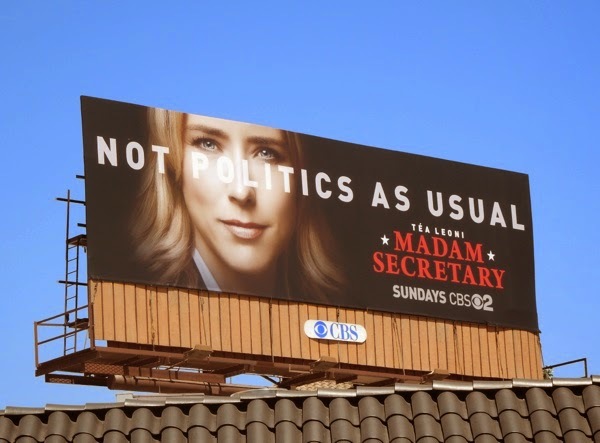 CBS must be hoping that its new political drama, Madam Secretary, will prove just as successful as its other leading lady drama, The Good Wife. 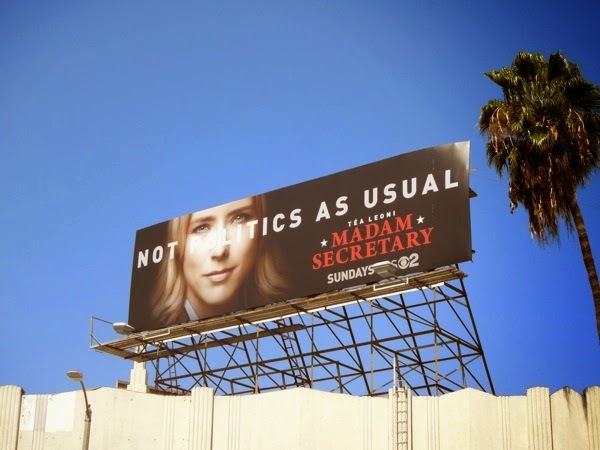 Following in the footsteps of the real-life female U.S. Secretary of State, Hillary Clinton, the series stars Tea Leoni as 'Elizabeth McCord', a former CIA analyst appointed to the international world of diplomacy at the White House, dealing with politics at home (professionally and personally) and crises around the globe. 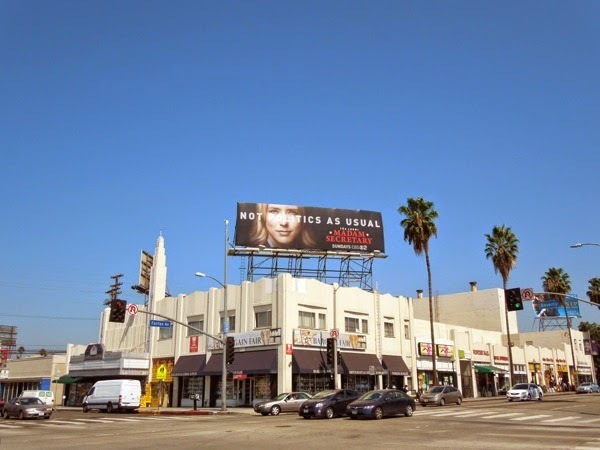 This series premiere billboard, which promises 'not politics as usual', was first spied above the intersection of Fairfax Avenue and Beverly Boulevard on July 31, and later snapped along Santa Monica Boulevard on August 18, 2014. 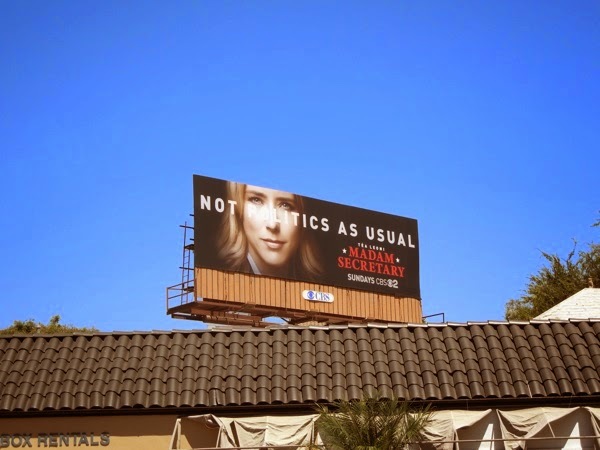 Following the success of show's like Scandal that have mixed Washington, D.C. politics with soap opera drama, it looks like all the networks want a piece of this political pie, as NBC also has a new show this Fall, State of Affairs, starring Katherine Heigl as a CIA analyst briefing the American President on domestic security issues. Let's home viewers are ready for this kind of show where they weren't for the first female President of America back in 2005's Commander in Chief, which starred Geena Davis in the lead role.